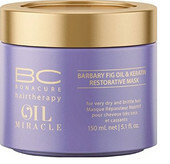 New BC Oil Miracle captures the benefits of precious botanical oils without overburdening thanks to its unique evaporating formula. This final touch to the care routine instantly nourishes hair with the essence of hair beauty: opulent shine and caressable softness. The Evaporating Technology is unique as it combines both a spreading agent with an essential polymer which ensures smoothness and softness on the hair surface. While the Polymer is non-spreadable, the spreading agent is able to spread on its own and therefore cover big areas of hair surface. The ability to penetrate easily into even the smallest hollows is another major advantage. 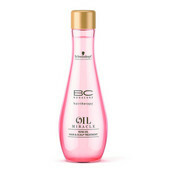 It dissolves the non-spreadable Polymer and works as its carrier agent, offering the possibility to be absorbed evenly into the whole of the hair surface. 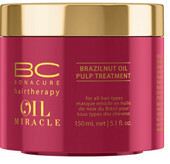 The carrier/spreading agent then evaporates during blow-drying or simply at room temperature. 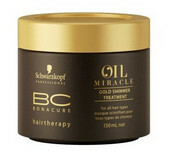 Just the main ingredient and the precious botanical oils stay on the hair surface where needed. Therefore the formulations are never going to be overburdening and the hair is left with opulent shine and caressable softness.